The sun seems to always shine in Palm Beach, Florida. This is without a doubt why so many people flock there throughout the year, searching for the best Airbnbs in Palm Beach, Florida. 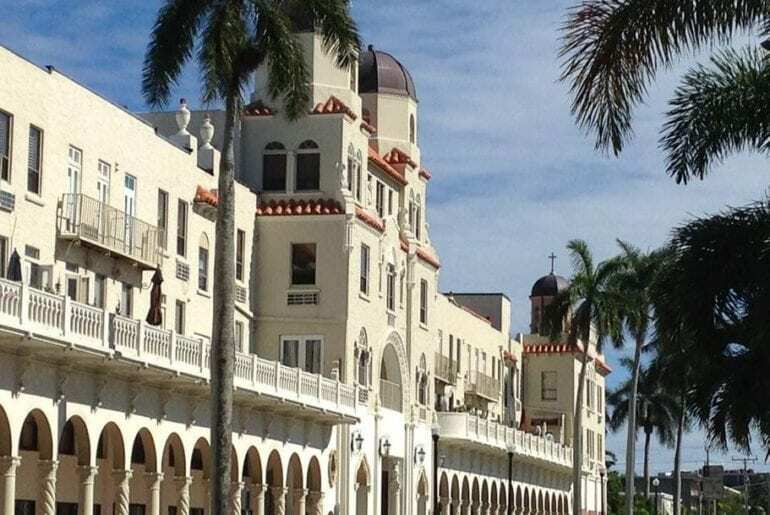 With a truly tropical and totally Florida vibe, spending time on the beach and soaking up the sun is a must-do, but there are many other activities to enjoy, from shopping at the upmarket boutiques of Worth Avenue to visiting the Henry Morrison Flagler Museum. 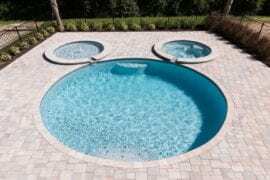 This colourful Florida resort town even inspired the likes of fashion designer Lilly Pulitzer, whose bright floral and tropical prints took their cues from Palm Beach itself. No matter what else there is to do in Palm Beach, most people will enjoy the glitzy feel of the beach or perhaps heading to a nearby golf course for a round or two. You’ll want to explore some of the best Airbnbs in Palm Beach, Florida, so let’s check out eight of our favourites. 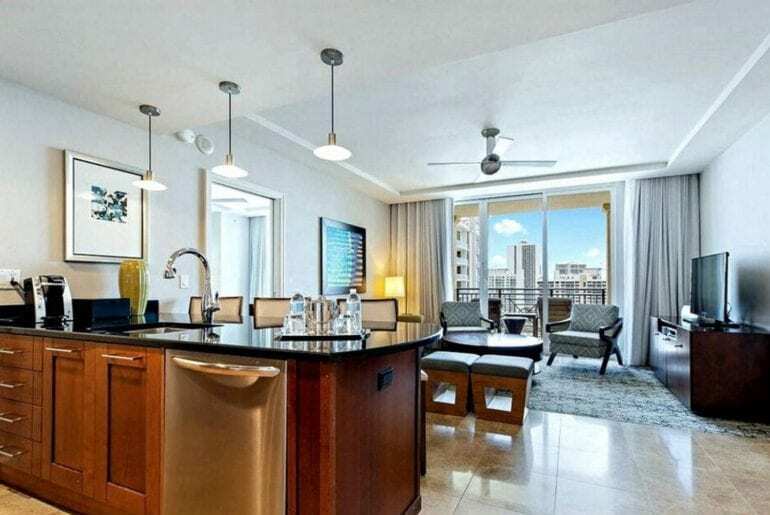 This five star serviced apartment in the heart of Palm Beach is one of the best spots to stay in the area if you’re looking for total luxury. At a cool $1,040 per night, you’re certainly getting what you pay for — the views alone will make your jaw drop every time you look out of the window! Try not to stare. 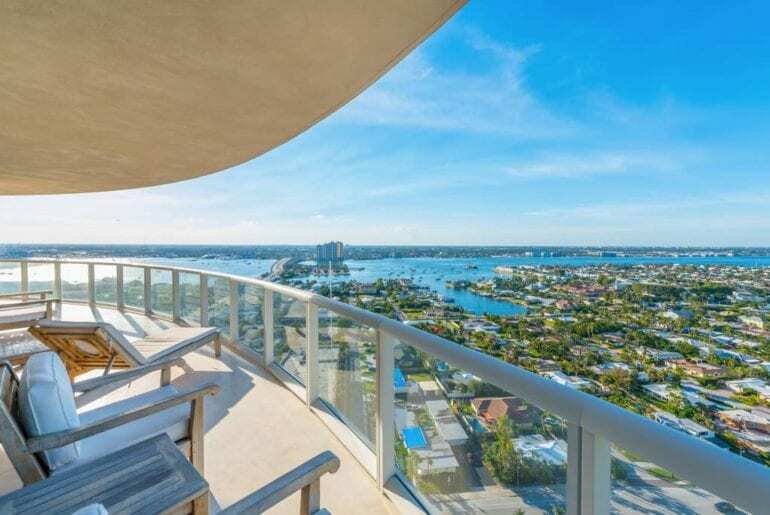 Located at one of the most desirable addresses in Palm Beach, the apartment has space for up to six guests, with three bedrooms and two large bathrooms. 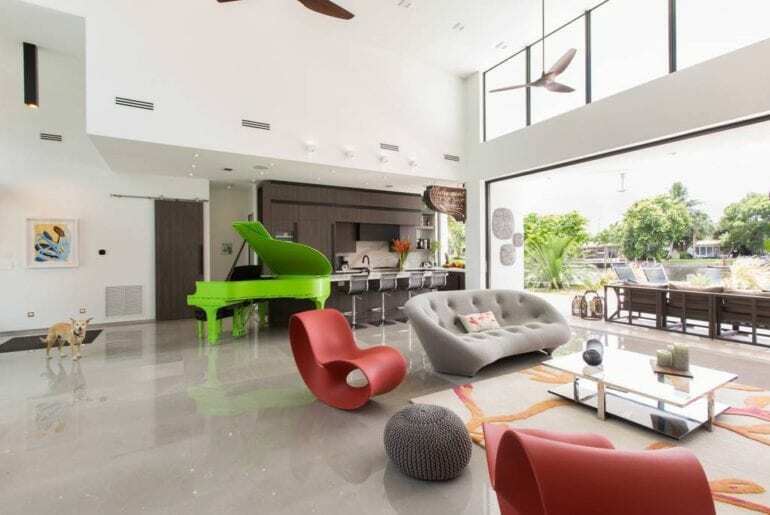 The main living space is designed in black and white sleek monochrome with a huge flatscreen TV. You’re certainly in the heart of the action here, so getting out and exploring the Palm Beach nightlife is a must-do. Enjoy lots of additional amenities including access to the Ritz-Carlton Residences swimming pool, on-site restaurant, private movie theatre, and much more! Located in nearby Boca Raton, this stunning waterfront bungalow has access to the marina, where you’ll catch multiple superyachts lined up every morning! 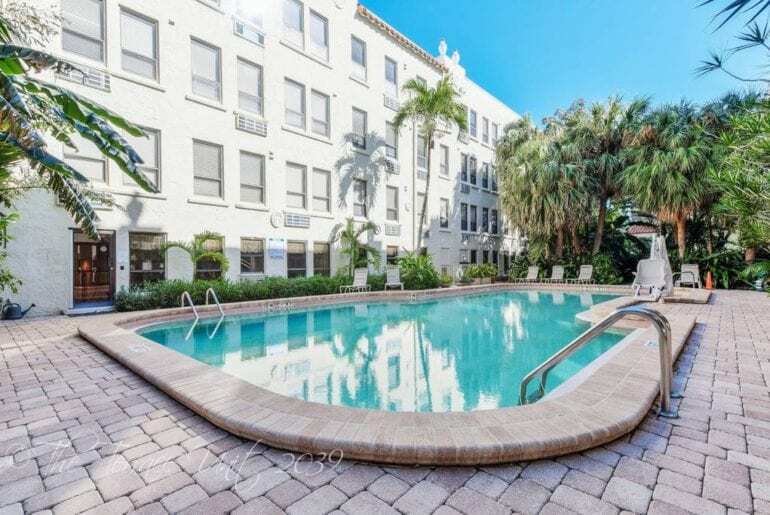 The outdoor pool and sun terrace is the perfect spot to soak up that Florida sun. You get a bit more privacy in Boca, but you’re also just a short drive from the centre of Palm Beach. This property has space for up to 12 guests, making it the ideal spot for groups or families, with five bedrooms and two full bathrooms. 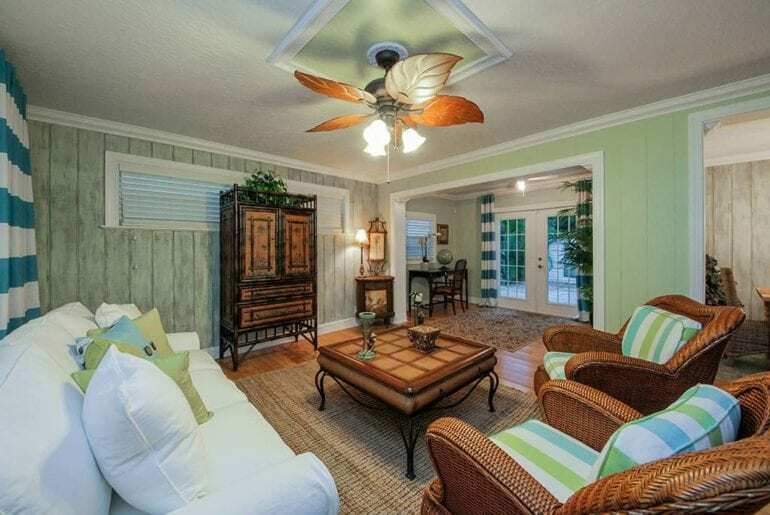 The house has air conditioning and ceiling fans, as well as flatscreen TVs throughout. 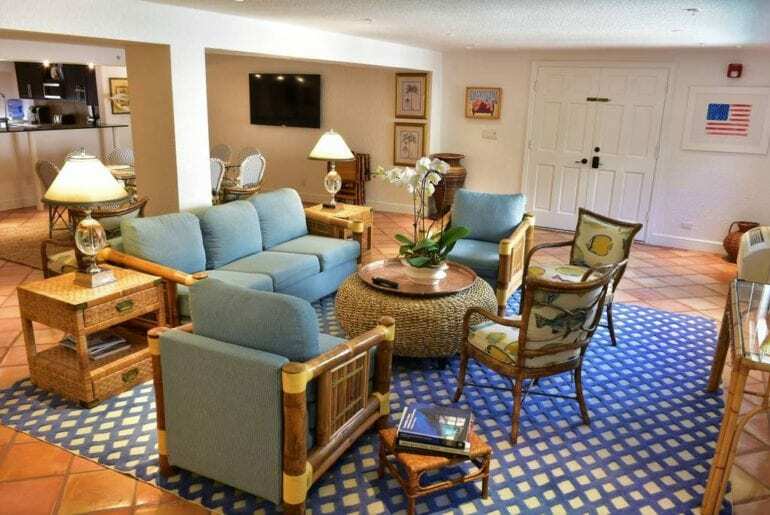 It is decorated in a tropical style typical of the Palm Beach area, with plenty of space for everyone to spread out. 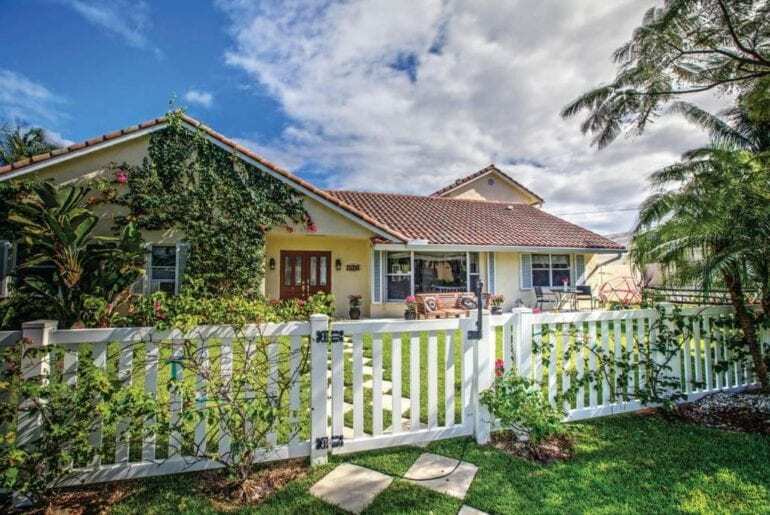 Outside is a quirky white picket fence, giving you a home away from home feel, in the heart of total luxury. Enjoy a waterfront location just minutes from Palm Beach with your entire group from $1,015 a night. 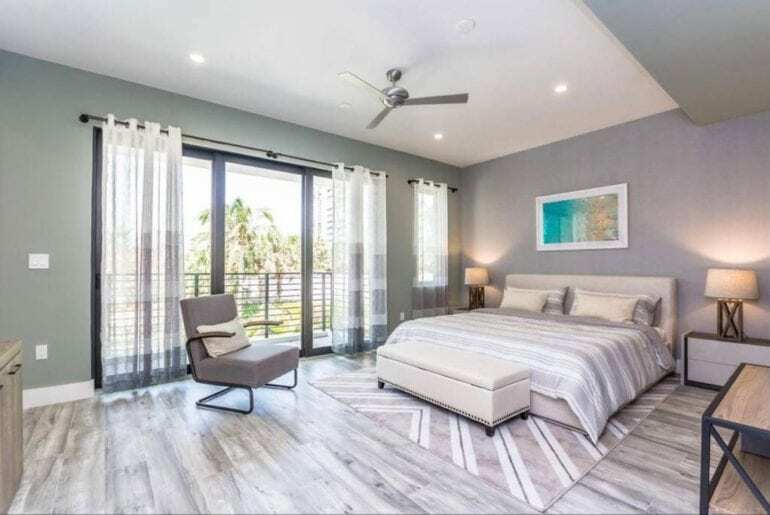 Located in the ritzy Wilton Manors area of Palm Beach, this waterfront property is super modern and super sleek, from its sleek exterior to the bold, contemporary furnishings inside. 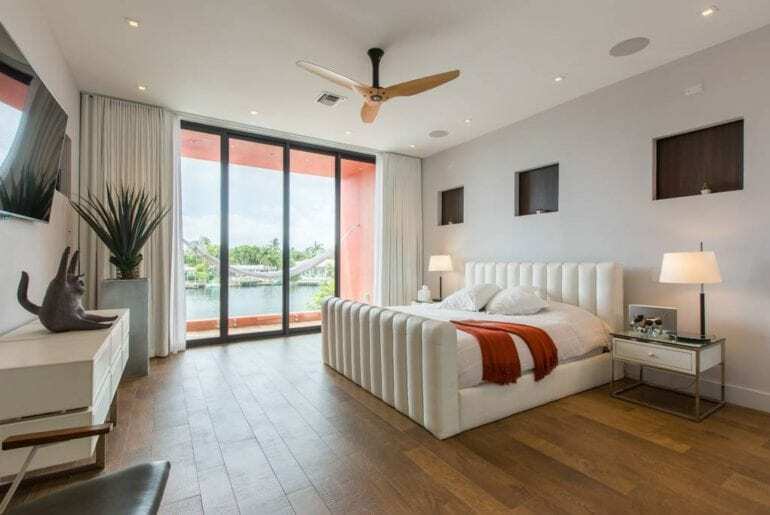 With space to house four guests comfortably, there are two big bedrooms and three bathrooms, plus a fantastic infinity swimming pool perched right on the water’s edge. 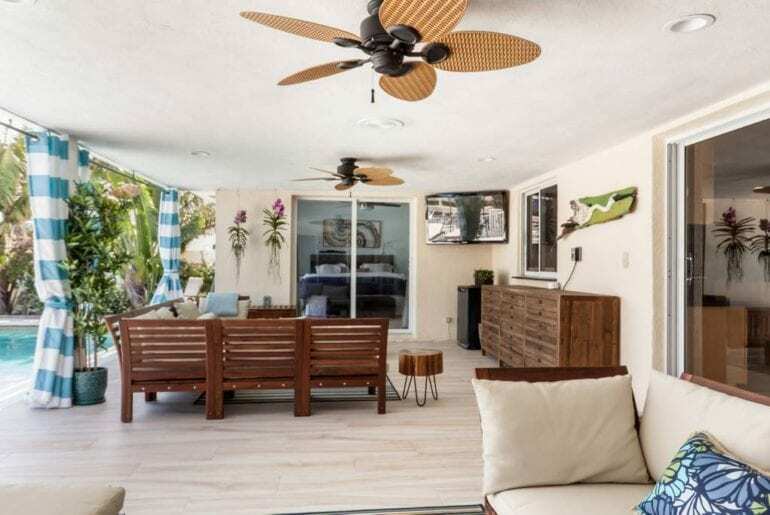 The outdoor dining area is perfect for enjoying the sunny view and you are no more than one mile away from the local amenities and tourist attractions of the Palm Beach area. This super-modern waterfront home is the perfect spot for friends who want to enjoy everything the area has to offer, but want to do it in style. 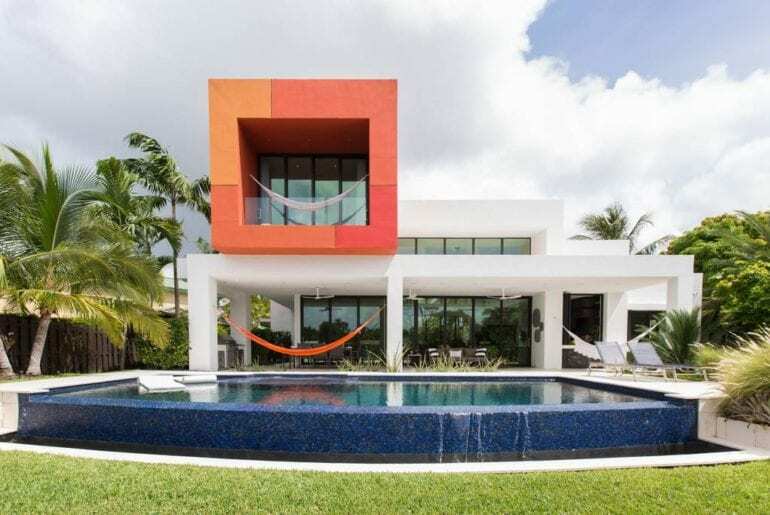 From $1,300 a night you’re getting one of the coolest Airbnbs in Palm Beach, with ultra-modern architecture, designer interiors, and luxury around every corner. Located in Hollywood, a stone’s throw from central Palm Beach, this stunning oceanfront property is perfect for those who love serious interior style. Decorated in a neutral palette of white and beige, the interiors evoke a feeling of calm and utter relaxation. 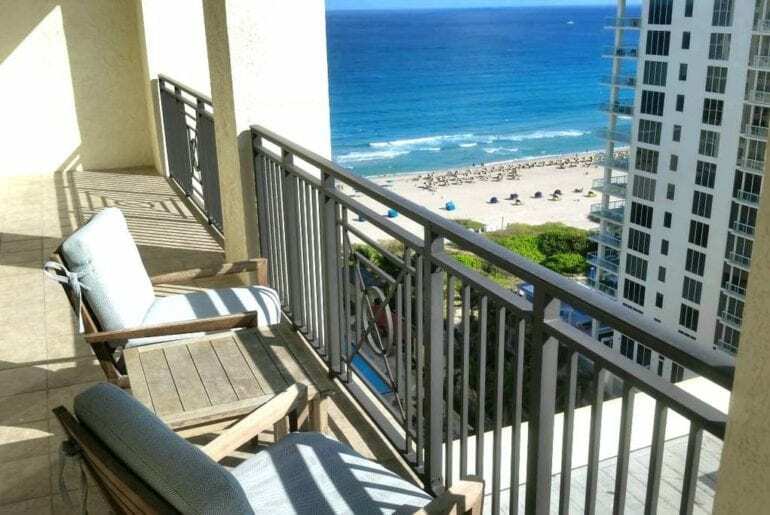 Step outside onto the dreamy balcony and soak up the perfect ocean views. 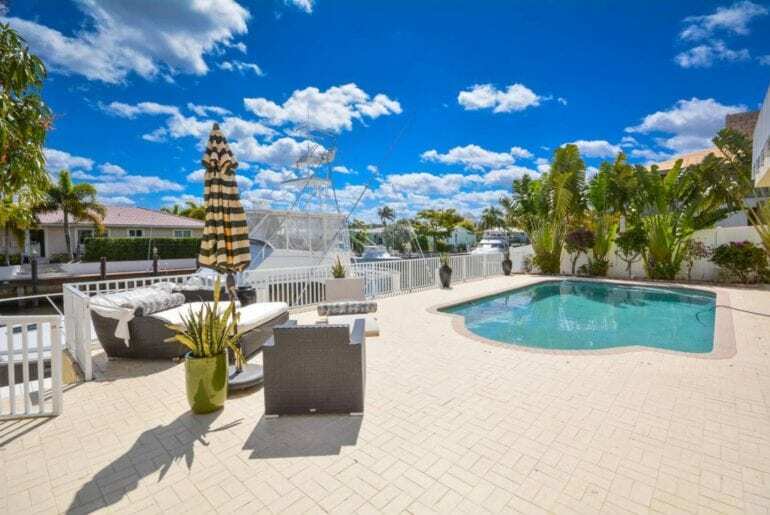 Available from $700 a night, there’s space for up to eight guests with three large bedrooms and three full bathrooms. The kitchen space is huge and modern, with everything you could possibly need. 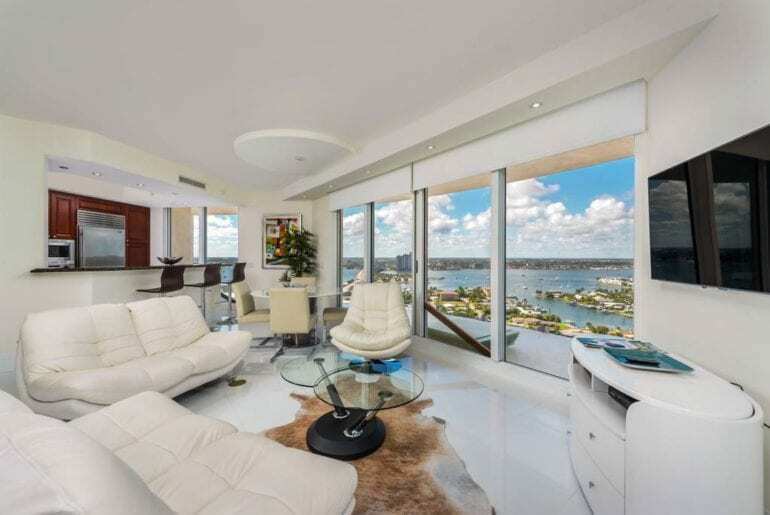 Floor to ceiling windows in the living space provide panoramic views over the ocean. There are flatscreen TVs and some of the most comfortable sofas you can imagine in the living rooms, but the outdoor space is where it’s at! The private balcony is big enough to sunbathe and soak up some rays, or simply to sit with a cocktail checking out the view. From $1,500 a night, you can stay in a historic and luxurious Airbnb in Palm Beach. This huge fully serviced apartment home is absolutely enormous and sleeps up ten guests. 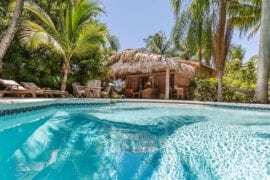 Located in a restored, historic casa-style building, the Airbnb has four bedrooms and three full bathrooms. 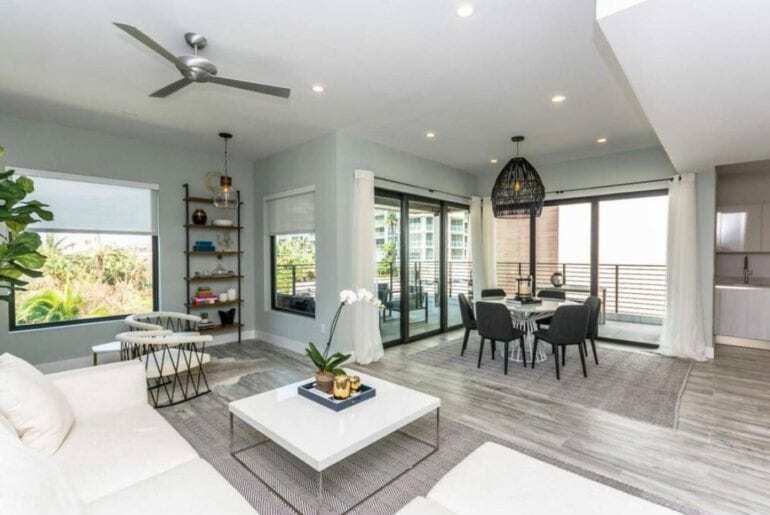 The living room is equally as large and open-concept, with multiple spaces to lounge, a huge modern kitchen, and a big dining table for the entire group. One of the most incredible Airbnbs in Palm Beach is just one block away from the ocean, steps from popular restaurants and charming cafes. This spacious, Spanish-style home has everything you could need for a luxurious family or group vacation in Palm Beach. 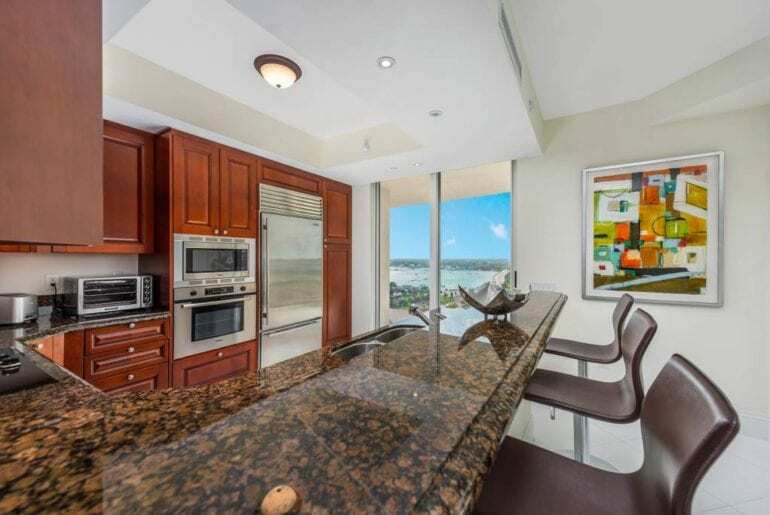 This large and well-equipped apartment is located in West Palm Beach, just a quick (and scenic!) drive from the sand. Enjoy a little more peace and quiet, while still being within a short drive from the centre of town and all its great amenities. With a large, heated swimming pool, you’ll be able to enjoy the sunshine and fire up the BBQ whenever you want. There is space for up to 12 guests, including five large bedrooms and three full bathrooms. Everyone will enjoy gathering for meals together in the separate dining room or else enjoying the stunning outdoor spaces. 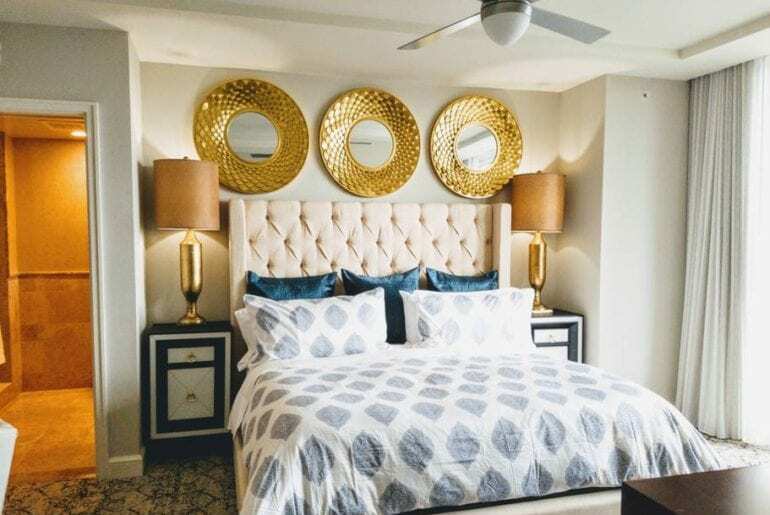 The overall design of his apartment is right in line with the colourful, Palm Beach tropical style which is so popular around this part of Florida. The bedrooms are comfortable and decorated in a chilled out manner, and with free unlimited wifi on site, you really do have everything you could possibly need from $634 a night. Direct ocean access right in Palm Beach? Sign us up! 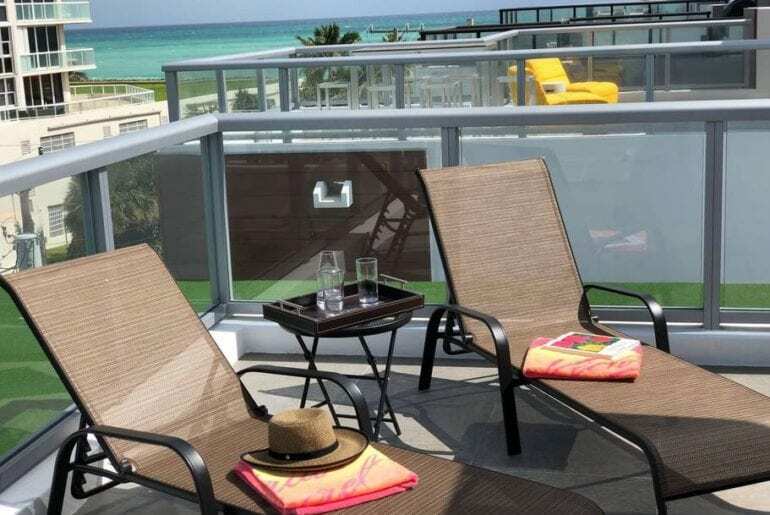 From $559 a night, this stunningly beautiful Riviera Beach apartment is a luxury bargain. Set within a glam resort, you get to take advantage of a number of excellent on-site amenities, including a fitness centre, restaurants, shops and a private beach. 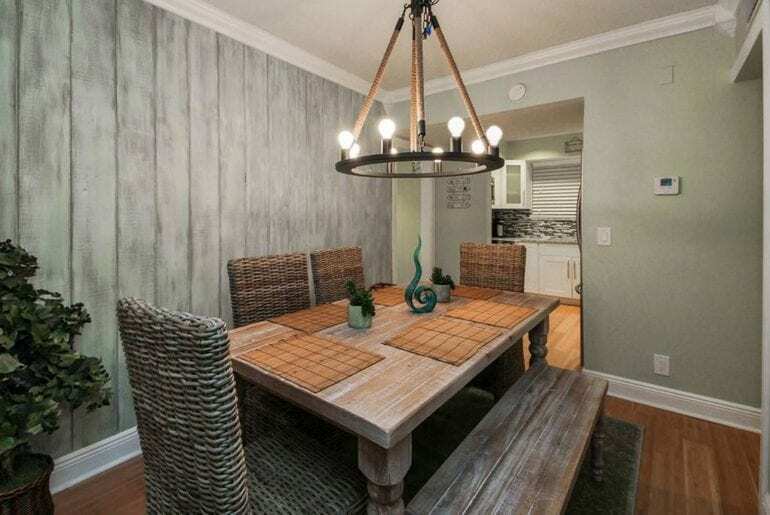 The apartment itself has space for six people, with two bedrooms and two bathrooms. Enjoy direct views over the ocean and a prime beachfront location at one of the best Airbnbs in Palm Beach. Both bedrooms are bright and beautifully decorated, with gleaming wood fixtures and huge fittings, plush cushions and extra space to spread out. 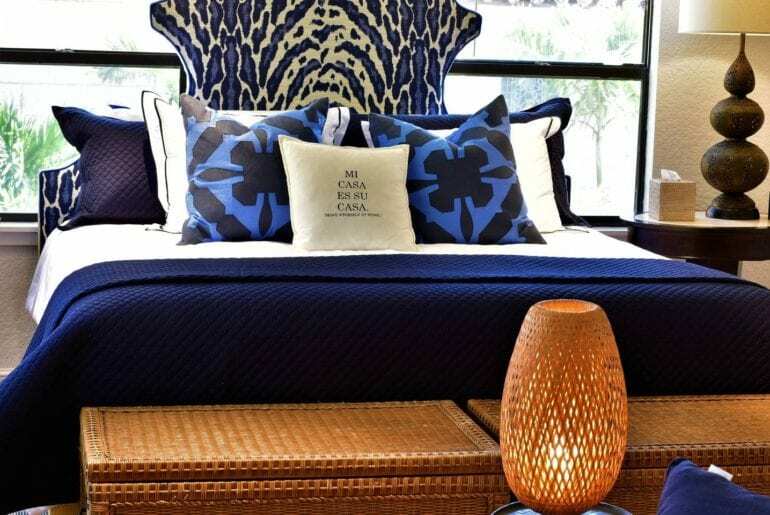 This is the ideal spot for anyone who wants a more luxurious beach break in tropical Palm Beach. 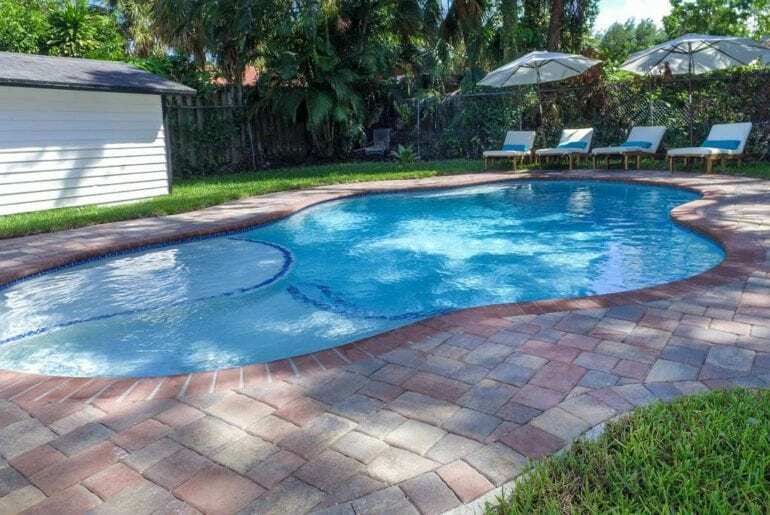 Enjoy all the benefits of staying in a luxury hotel, but with the independence and privacy of a fantastic Palm Beach Airbnb. 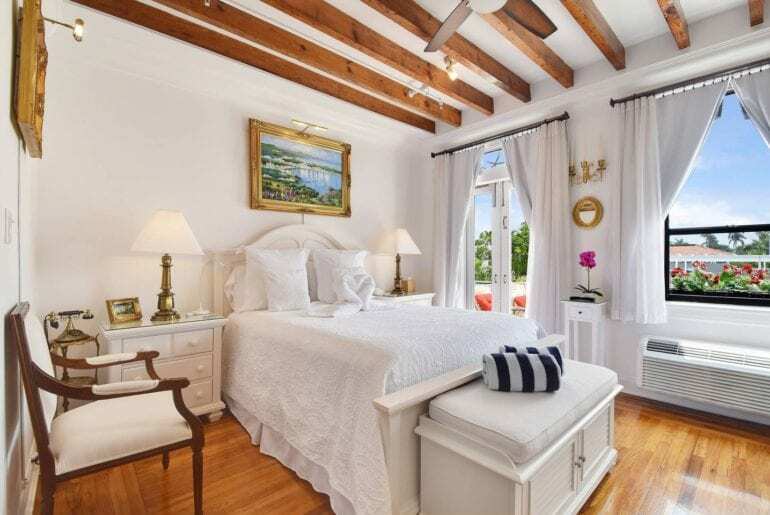 Located in one of the most iconic and historic buildings in Palm Beach, this sweet and sunny studio apartment is ideal for a solo traveler or couple on a tropical vacation. Available from $225 a night, the space is light and bright with a super-comfy queen bed and huge windows. The studio offers a private, beautifully renovated bathroom with shower as well as a well-stocked kitchenette. 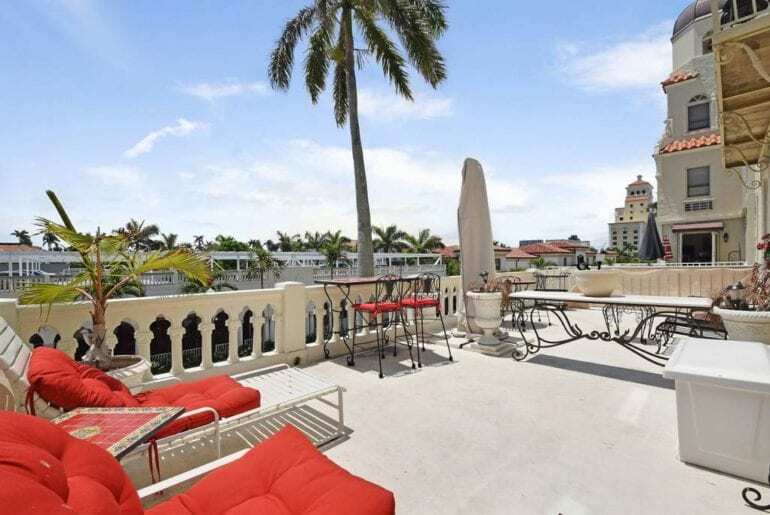 Unusual for this quality of Airbnbs in Palm Beach, this studio space features a large, private terrace balcony overlooking the most happening boulevard in town! Soak up the sun on your own loungers or enjoy a cold drink at the charming cafe table while you watch the world go by. 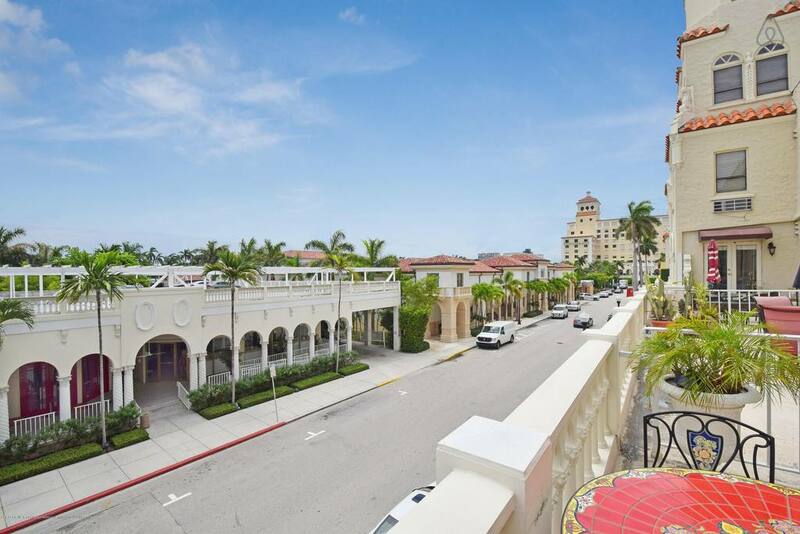 You’ll be staying at one of the most desirable addresses in Palm Beach, just steps away from all kinds of popular restaurants and a short walk to the white, sandy beach.